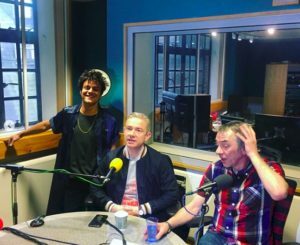 Jamie Cullum’s interview with Martin Freeman will be broadcast on his BBC Radio 2 show on Tuesday 27th March. The interview celebrates the release of Jazz On The Corner. Tune in from 7 pm. Thanks for this info Michelle, it’s good to receive these updates these days, the. constant updates and intrusion from social media, makes a dedicated website and news source invaluable to people worldwide.